Navasana (Boat Pose) is a challenging yoga pose that cultivates a deep connection with your core. It strengthens several core muscle groups simultaneously: abdominals, hip flexors, adductors (inner thighs), and spinal muscles. The abdominal muscles (particularly the deepest layer, the transverse abdominus) work in combination with the erector spinae (a.k.a. paraspinal) muscles to hold your torso upright and lengthen your spine. The hip flexors engage to lift your legs away from the ground. The adductors contract as you squeeze your inner legs together. 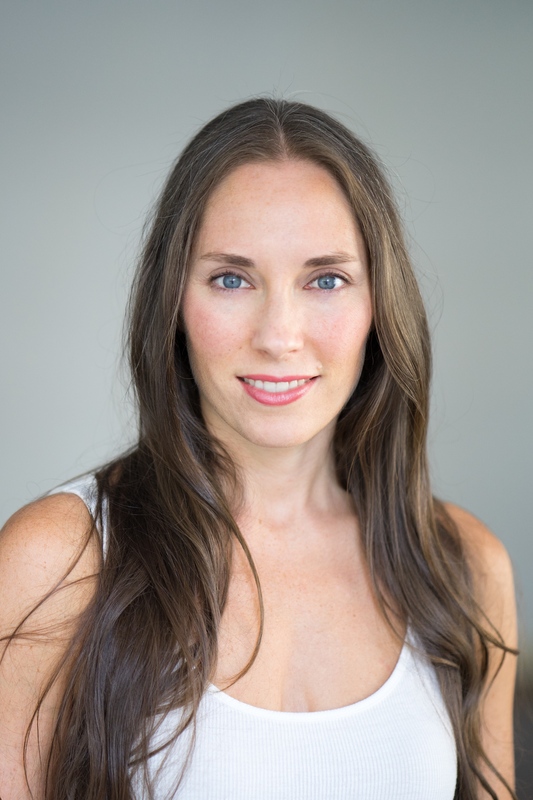 Unfortunately, if you attempt Navasana without first developing some degree of strength in your abdominals and back muscles, you might find yourself collapsing, unable to hold yourself upright, and feeling pain and strain in your lower back. Maybe you tell yourself that you’re just not strong enough to practice Navasana and decide that it’s not the yoga pose for you. You’re caught in a common dilemma—you don’t do Navasana because your core feels weak, but your core won’t become stronger unless you practice the kinds of actions that Navasana requires. This dilemma has a solution: take Navasana over to the wall! The support of the wall will enable you to strengthen your back muscles (and other core musculature) gradually, without the lower back strain that you might experience away from the wall. You don’t need anything except yourself and a wall to practice this pose (although you can use a folded blanket if you experience pain in your buttocks, sitting bones, or tailbone). Sit facing the wall with your buttocks on the ground and knees bent. 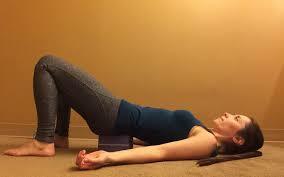 If at any time during the pose you feel discomfort in your buttocks, sitting bones, or tailbone, sit on a blanket. Place your hands on the floor a few inches behind your hips. Choose a hand position that makes sense for your wrists: you could either press the whole palm down or just the fingertips; you could point your fingers towards your feet, out to the sides, or away from your feet. Rest your toes on the baseboard of the wall. Lean back with your knees still bent. You may need to move your buttocks closer or farther from the wall, depending on the length of your legs. Your weight is now balanced on the backs of your sitting bones and the front of your tailbone, which creates a little tripod of support. As you press your hands into the ground, lift your chest and lengthen your spine. Engage your abdominal muscles and feel them hug towards your spine. Gaze straight ahead. If this already feels like a challenge, stay here and breathe. If you feel no strain in your lower back and want to go a step farther, place the sole of your right foot on the wall with your knee bent, and your toes about shoulder height. Do the same with your left foot, bringing feet and legs together. Leaning into your hands, repeat the same actions as before: lift and lengthen your spine; hug your belly towards your spine; gaze straight ahead. Also press your feet firmly into the wall and hug your inner legs together. If this feels like a challenge, stay. Otherwise, continue to lift your chest and draw your navel in as you place your hands on the backs of your thighs. If you still feel no strain in your low back, take your hands away from your thighs and reach your fingers towards the wall with arms parallel to the ground. If you’re feeling fine and want to go a step farther, move your feet a little higher up the wall and straighten your legs. In the beginning, aim to stay for 5 breaths. As you develop more strength, you can gradually increase the time you spend here. After several breaths, rest. Repeat 2-5 times. This yoga pose is a nice follow-up to Navasana. It expands the muscles along the front body that were just contracting, and the supported, restorative quality helps to release the effort required to stay in Navasana for several breaths. Whether you follow up with Supported Bridge or not, (photo right with the block at low height) give yourself at least a few minutes after practicing Navasana to be still and quiet. Notice if you feel any effects from what you just did. Focus your awareness on the center of your body, simply observing what you feel—physically, mentally, and emotionally. In this way, you’ll cultivate a connection with your core that’s not just about stronger abs or better posture. This connection is an awareness that penetrates even more deeply than your musculature—a connection to the true core of you, that which lies beyond the physical.